Many people don't realize that Borders sells niche books that can't be found at other major bookstores. Its a place where you can discover interests you didn't know you had. Borders has relationships with writers, celebrities, and other bibliophiles who want to share their love of reading with others. We will ask them to donate books for a promotional book experiment. The experiment will be a physical manifestation of discovery, and will take place outside of the retail space. 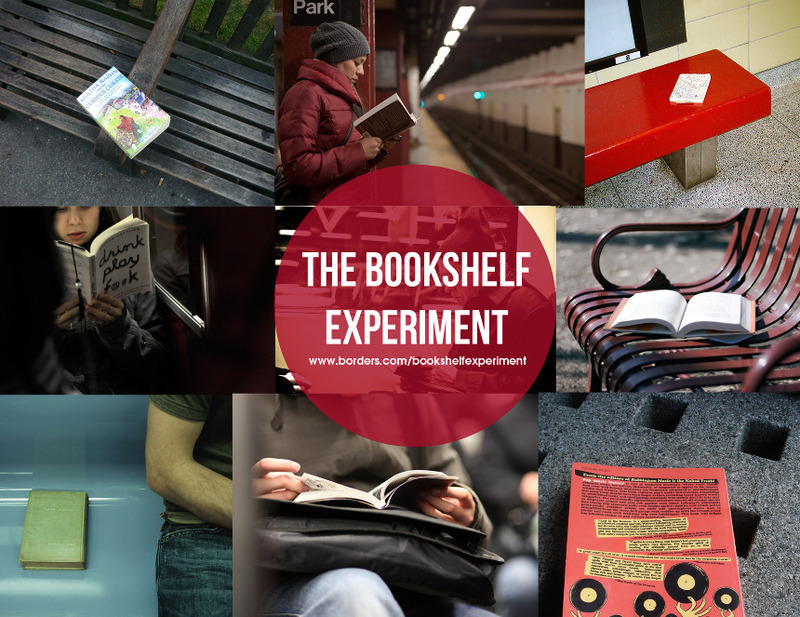 Bookshelves will be placed in Subway stations around a city with the donated books. The message leads people to the website to enter their tracking code and the location where they found the book. They can enter as much information as they choose in order to best document their discovery. Once they've read the book, they can leave it in public locations for others to take. Over time, they can view where their book has gone using their saved tracking code. They can also redeem their 40% discount off any Borders book in the online bookstore.